This is day two without electricity so I will keep it short. 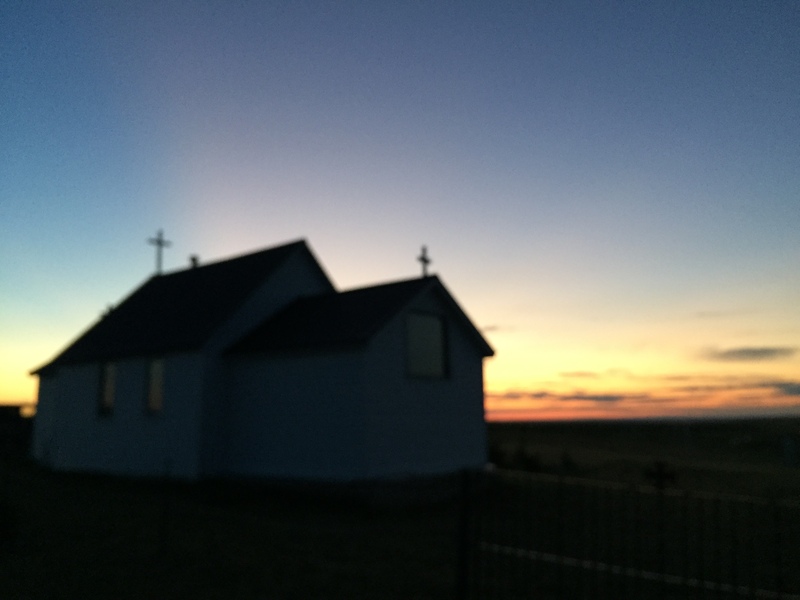 We’re camped right now beside a graveyard, at a small Greek Orthodox church on the NWMP trail. When he could see us far off, struggling through the heat on the final stretch of our 15 miles or so today, a man at the church rang the bell to call us home. Now it’s dark. The graveyard beside our tents overlooks the vast open prairie. There are little solar lights beside the graves, which is perhaps nice, but a touch freaky for us in the tents. 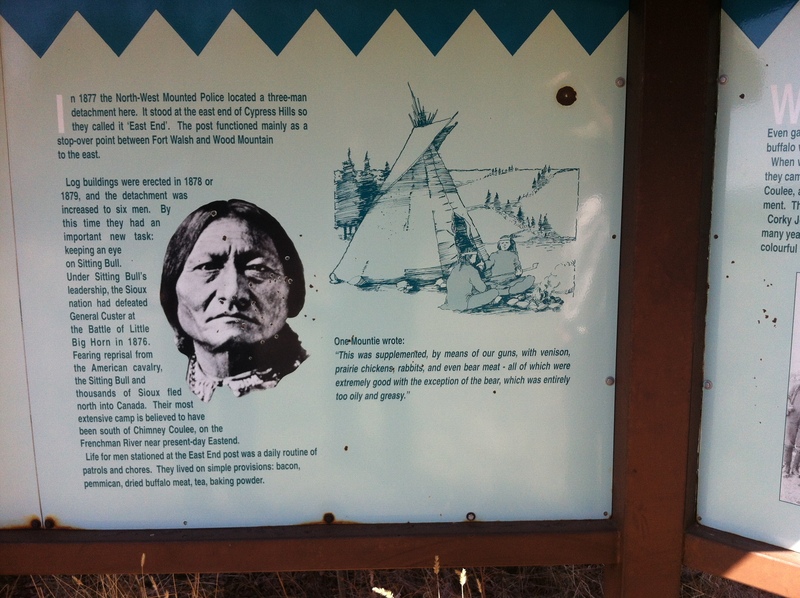 Today was also the day that we were sent off by two RCMP officers, one in serge, and then smudged at the Lakota First Nation as we walked through. Not only that, but we happened to arrive at lunch and were given a wonderful hot meal by them. So much to say, but not now. After all those miles, many of them through thigh-high grasses and rough pasture (fell into a badger hole once), it’s time for sleep. 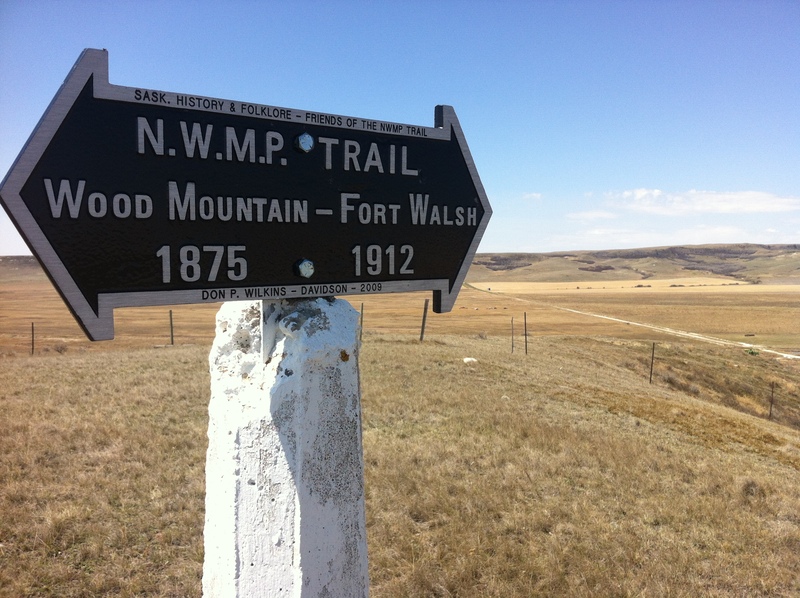 My North West Mounted Police Trail walk (AKA Sitting Bull Trail Walk, Lakota Trail pilgrimage, Metis Trail pilgrimage) begins very shortly, on July 17th! 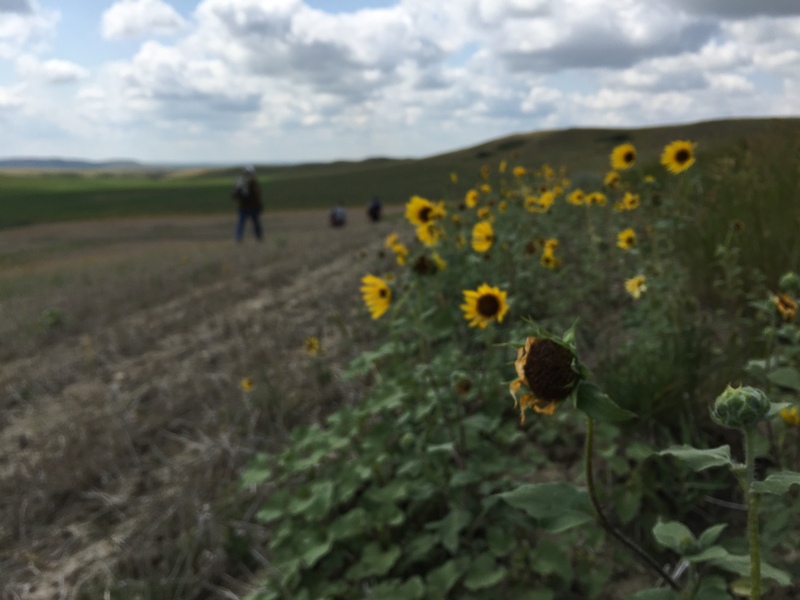 Our small group of pilgrims will be greeted at Wood Mountain (Lakota) First Nation with a smudging ceremony and a blessing to send us off. As well, there will be a Royal Canadian Mounted Police ceremony to send us off, as we begin our three week walk. If you would like to donate to help create the documentary of the walk, please see https://www.indiegogo.com/projects/walking-the-medicine-line#/story. We have already met our initial goal, but additional funds raised will go toward hiring a sound person and camera-person to make the documentary even better. Thank-you!